Stunning finish, excellent playability, with accessories. Cremona has always been a pioneer when it comes to making quality violins to meet the demands of the growing student violin population. While focusing primarily on quality and to meet the best value for the player, the Cremona SV-130 Premier Novice Series violin was developed. Whether the student is in the earliest stages of the learning process, or well on the way to more advanced training, these violins featuring USA-made D'Addario Prelude strings, the educator's preferred string for students, will perform well beyond their price. 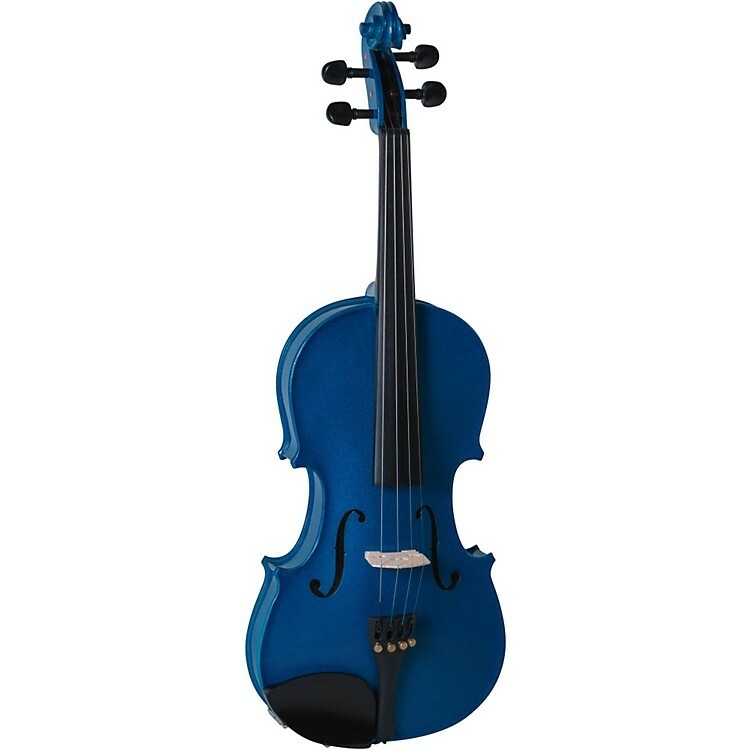 Each instrument is setup to Cremona standards at their U.S. workshop and has a sparkling blue gloss finish. Order today and get your musical odyssey off to a great start.